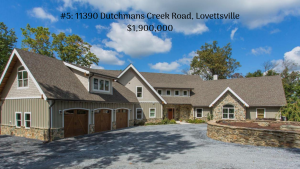 In 2011 we started writing a January recap of the most expensive homes sold in Loudoun County during the previous year. While we missed a year in 2017 (too much eggnog, I guess?) we are back on track this year. As in prior years, it takes a sale price nearing a couple of million bucks to hit the top five. We’ve had years where the top sellers are based on luxury, others on number of dwellings on a single estate, and some based on massive amounts of acreage with moderate homes. I have to note that this year’s list is less ‘Middleburg centric’ than past ones, with homes across all parts of the county. And no, Martin Lawrence’s estate didn’t sell yet, or it would have definitely made the list at its’ current (reduced) asking price of just under $8 million. While the listings agents for these homes successfully found buyers, there are 16 properties available now in Loudoun that are even more expensive than these! 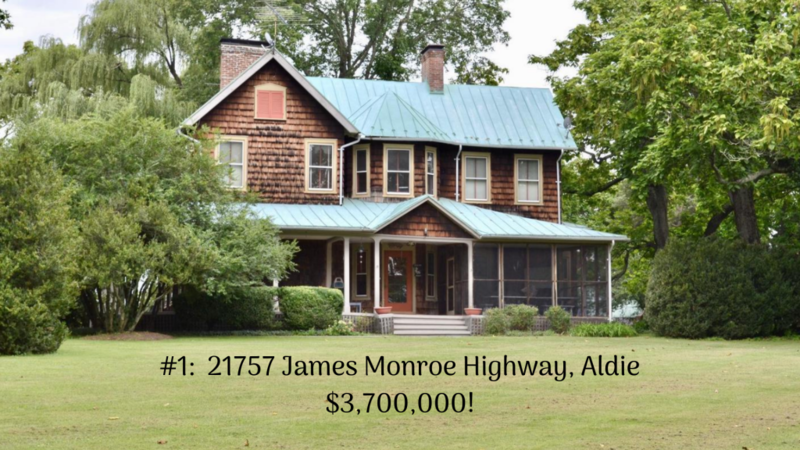 While the home is beautiful, the setting is even more so, with Potomac River frontage and views on a private 71 acre estate. Built in 2014, this home has over 8,000 finished square feet of living space, with dual master bedrooms, a home gym, and a three car garage. According to the listing agent, this is the first time in 5 generations that this property has been on the market. 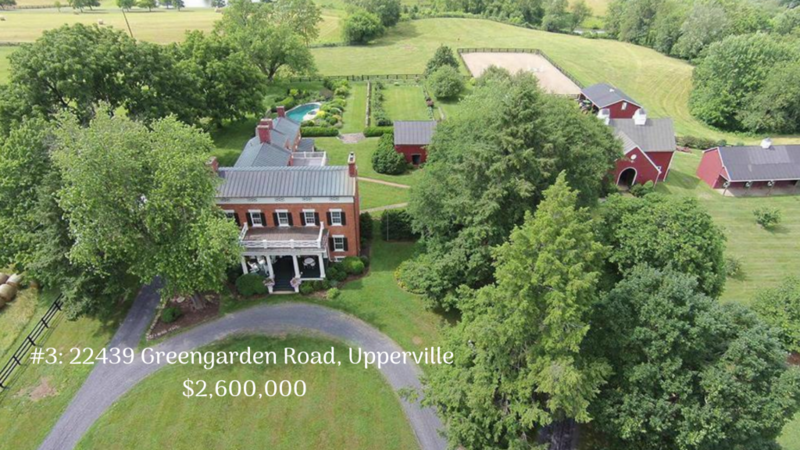 The 18th century farmhouse is a modest 2,670 square feet, but the farm around it encompasses 151 acres. The manor house on this hunt country estate was built in 1823 and has been elegantly restored. The estate includes 34 acres with a four stall barn, riding ring, pond, and pool. Simply beautiful. This historic farm in Hamilton boasts an 1854 Quaker manor home with over 147 acres, including 90 acres of rolling pasture and 50 acres of riding trails. Maybe we’ll see a new winery or brewery pop up here? 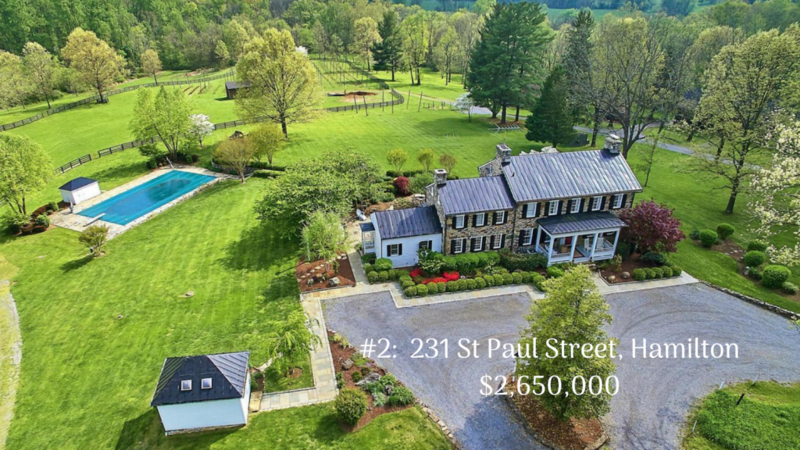 Loudoun’s most expensive home of the year sold for a just over a million more than the St. Paul Street estate, with a sales price of $3,700,000. 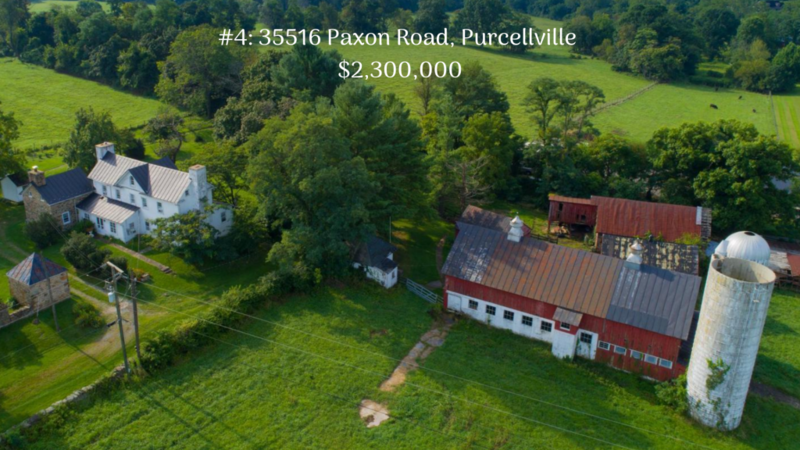 Red Gate Farm (not to be confused with the riding stables in Bluemont of the same name) includes the Victorian farmhouse in the photo along with 149 acres along Route 15 between Aldie and Leesburg. The property includes 2 ponds, a windmill, a converted water tower (that looks a bit like a treehouse), and a pool. The home was built in 1900 and includes 6 bedrooms, 3 full baths, over 3700 finished square feet and at least four fireplaces. 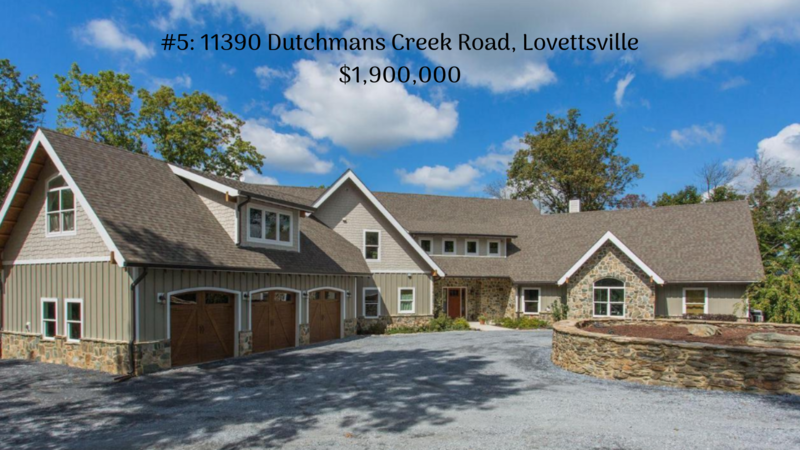 Interested in seeing what luxury properties are on the market right now in Loudoun? Click here. And if you have questions about the market or the real estate process please let us know.